Happy Thursday! I don't know about you, but this has been a long and draining week! We missed 2 1/2 days last week, but have had to go EVERY day this week! My first graders love math and have stepped up to the challenge these last few weeks as our curriculum has become harder. Tomorrow we are going to have a fun center to do. I am frantically printing and laminating for tomorrow - I forgot to do this earlier in the week! 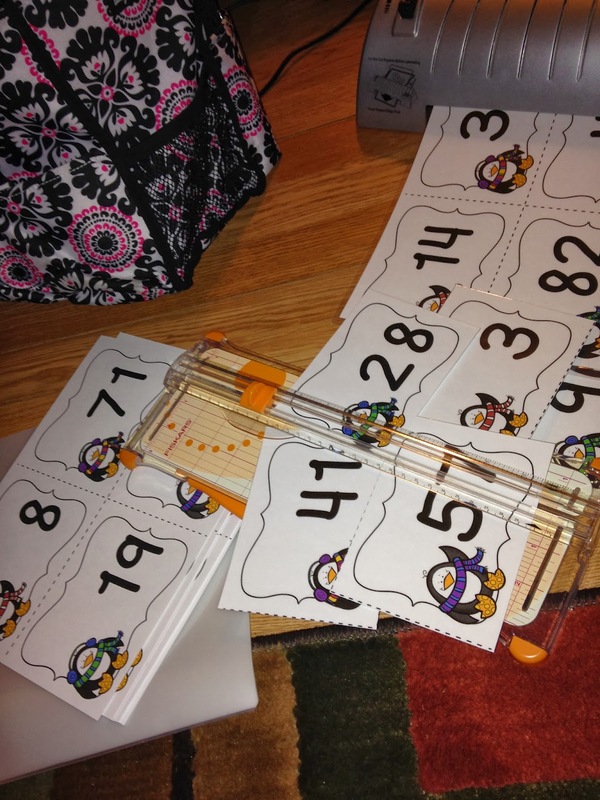 This Penguin Pals activity has 8 pages of number cards to print and laminate, along with 3 different recording pages. Perfect for differentiating in your math centers! Click on the link in the picture above to download this freebie.